Following a successful partnership at ACE18, the American Water Works Association (AWWA) has selected Isle Utilities to power the Innovation Lounge at AWWA’s Annual Conference & Exposition (ACE) in 2019 and 2020, to be held in Denver and Orlando, respectively. 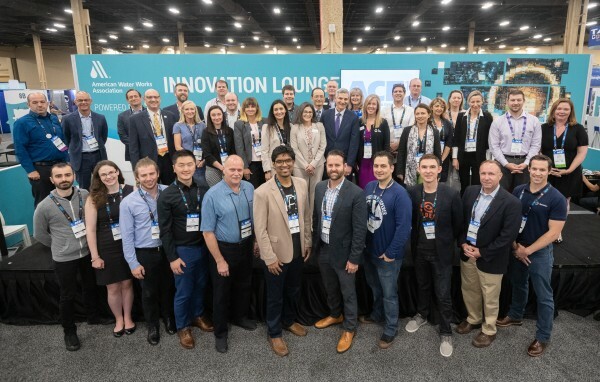 The ACE18 Innovation Lounge bridged together innovation stakeholders from numerous countries, industries, and disciplines, contributing to a robust program and a broad range of exhibitors. Notable additions introduced to the Lounge included the “No Water No Beer” Happy Hour and the Isle Tech Pitch Competition. AWWA and Isle’s focus will be to showcase the industry’s most promising innovations and curate a program that will generate meaningful discussions and inspire fresh ideas among attendees. Stay tuned for exciting announcements leading up to the conference! To find out how you can get involved with the ACE Innovation Lounge, please contact Isle’s Program Manager, Brittany Burch.